Windsor Carpentry carries out high class bespoke joinery for domestic and commercial customers throughout Berkshire & Surrey. We would like to demonstrate and showcases some of our completed fantastic wood and joinery projects. Giving you visitor confidence that Windsor Carpentry joinery skills are second to none. 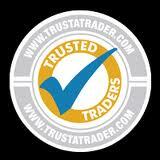 ... the home of trusted tradesmen and honest customer reviews.